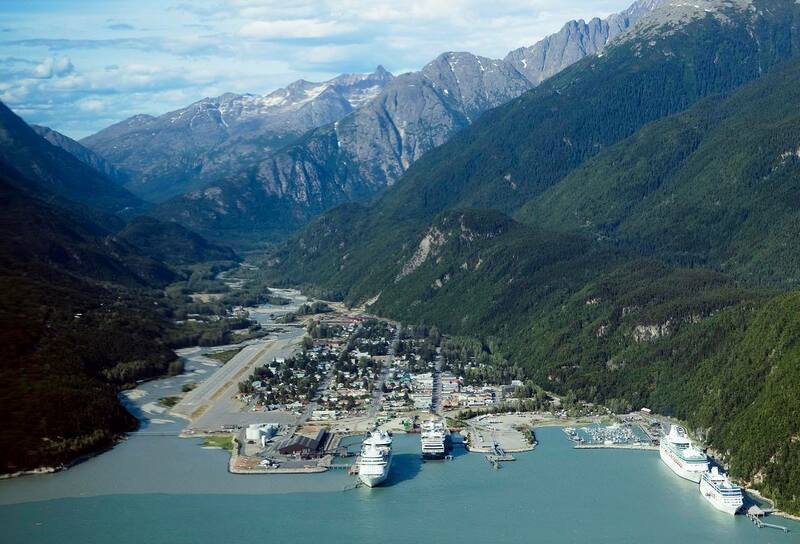 The Key to Having A Good Time In Skagway Is… To Get Off The Ship. When I say, “Skagway is only a few blocks by a few blocks,” I am not joking. If you think that a city of 15,000+ people is small, then you will be in for a shock when you arrive on the docks of Skagway, Alaska. Which by the way, has a population far less than 1000 people. I have heard so many times that Skagway is the hidden gem on the cruise ship tour, and was the highlight of most peoples trips. When you turn the last corner before entering the harbor, you will see an old gold mining town that looks like it is wedged between two mountains. It is quite a sight to see! I do not want to give everything away, but there is just something about Skagway that is special. It is hard to pick what that one thing is. It could be the colorful and historic shops that all hold a surprise inside. You never know what is actually in store for you once you open the doors to these period accurate buildings. 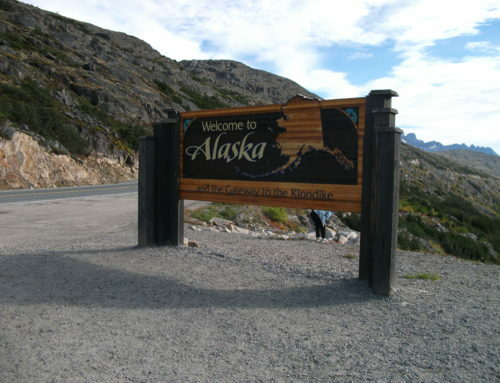 Or maybe it’s the fact that this was a major spot for the Alaskan gold rush. It’s hard to choose what colorful building is the most fun. These thoughts and many more will be running through your head, and the answer to all your questions is, “Just get off the ship.” I understand you may want to take a day off from spending money, exploring, running around, etc. Don’t! Get off the ship and do something. 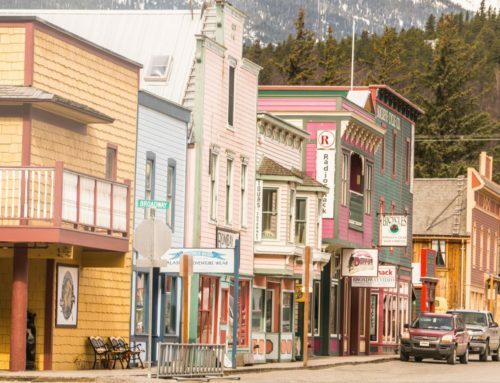 I promise walking up and down the streets of Skagway will take you back in time to the “Golden Age” of the Alaskan gold rush that was the cause of Skagway once being the largest town in Alaska. 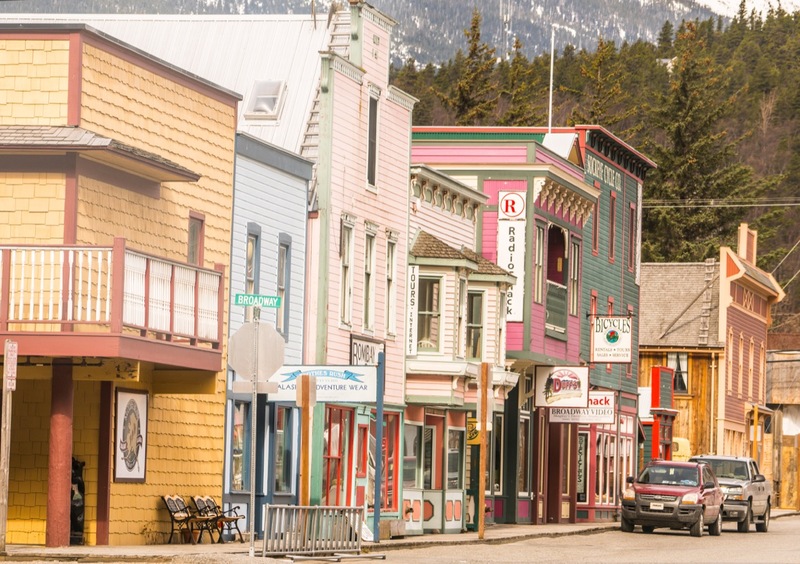 The amount of people today who call Skagway home may be very different than a century ago, but the atmosphere will make you feel like you are back in time. Less than 1000 people live in Skagway year round. There are many little nuances and facts about Skagway that are fascinating to learn; you may find yourself having a hard time not doing your own research and asking questions. Here are some fun questions for you to ponder after you get off the ship. I will give you your first hint: Get off the ship! Why is Broadway Street so much wider than the other streets? Who was Jefferson Randolph “Soapy” Smith II? What was the Chilkoot Trail, and what did it consists of for those who dared to climb it? What was life like here 120 years ago? 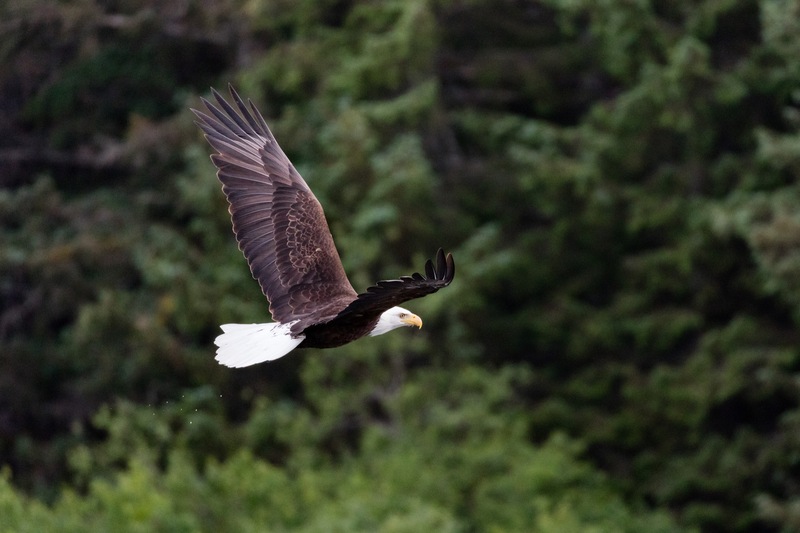 Explore Skagway in the best way for you, but explore none-the-less. 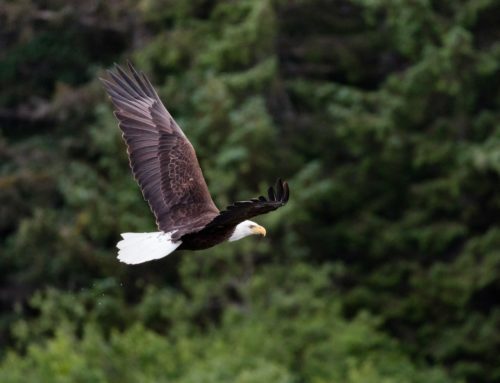 There are countless tours to choose from: a full day of exploring Skagway to the Yukon via a bus or enjoying a short train ride through the mountains. You have a lot of time, so get up and get going.